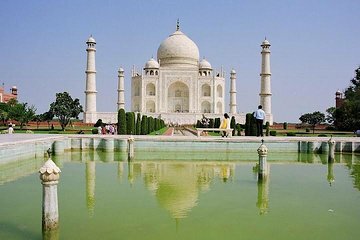 The private 2 day tour from New Delhi to Agra and Jaipur was an incredible experience. It was so convenient. They had someone pick us up and show us around everywhere and they planned everything for us. Ashok was or second guide and he was amazing (definitely recommend him) great tour! The tour was awesome, the hotel was very good, but the tour guide in Agra took us to shops and indirectly forced us to buy something from there so he could get a commission.